LG's upcoming flagship product, LG G6, which is expected to debut at the Mobile World Congress 2017, in Barcelona, will not be powered by a Qualcomm Snapdragon 835 processor. Instead, the CPU rocking it, will be, a surprise surprise, a Qualcomm Snapdragon 821 SoC. That's what a Forbes report, which says this is not a rumour, but a direct leak from an insider from LG. The move, if true, is not particularly shocking, as has been evidenced by LG's history itself. Back in 2015, when the Qualcomm Snapdragon 810 was found to be prone to overheating, LG boldly skipped the chipset, for an underpowered Snapdragon 808. 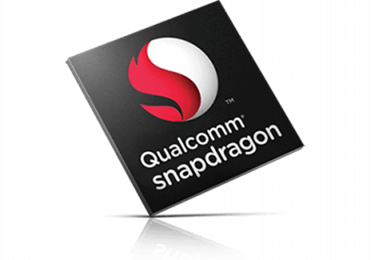 But unlike the previous instance, the decision to go with the Snapdragon 821 is not due to issues with the Snapdragon 835 chipset, but rather the availability of the Snapdragon 835. As you may know, the Snapdragon 835 SoC, is co-engineered by Samsung and Qualcomm. So, Samsung will have the first priority over other OEMs. And we have reported that Samsung is even delaying the launch of its Galaxy S8, by a few months, moving from its usual February launch, to an event scheduled for mid-April, rumoured to be made available around April 14th. LG does not want to wait till then, and will go with a proven SoC instead, ala the Qualcomm Snapdragon 821. HTC also did the same with its HTC U Ultra recently. Makes sense, yeah?